According to the report analysis, ‘Health & Beauty Retailing In Singapore, Market Shares, Summary And Forecasts To 2022’ states that some of the major key players which are currently functioning in this sector more actively for attaining the handsome amount of share which includes DFS, Watsons, OSIM, Unity, ONI Global, Nu Skin, Eu Yan Sang, Sephora, Sa Sa, FairPrice and several others. Whereas, the Fair Price grew faster during 2016-2017 and DFS is a duty-free player which was leading player with a 7.9% share in 2017. Moreover, the report also consists of detailed and comprehensive information related to the all aspects of this sector and market insights based on consumer trends, demographic factors and changing economic, macroeconomic factors and new technological innovations. Furthermore, it is anticipated that the health beauty sector is the smallest sector in terms of retail sales with sales reaching SGD3.2 billion in 2017 and registered CAGR of 4.9% during 2012-2017. Health and beauty products are becoming more prominent these days as these products totally enhance the livelihood and status of the consumer. The market of these two is growing more rapidly and the key players are introducing so many new related products as the consumers are becoming more health conscious in the recent trend. Moreover, many of the players are establishing new technologies in the firm for manufacturing health and beauty products on a reasonable price which also can meet the demand of the consumer more significantly and able to get a huge market share. However, unsurprisingly, increase in disposable income and the huge development in the economy fueling this retail market of Singapore more effectively. As the demand is increasing day by day most of the key players are starting up their business on an online platform which is prevailing very much in the modern trend, because of the busy and hectic schedules of people. The retail market in Singapore is anticipated to rise more significantly at a CAGR of 3.0% during 2017-2022. Moreover, sales through online platform are still at the nascent stage in 2017 with a penetration of 1.8%. Whereas, the specialist’s retailers are losing share to online players. The citizenry of the recent trend needs to maintain a healthy lifestyle which majorly drives the healthcare products sales more significantly in the upcoming era. With the rise in tourism and an increase in the purchase of beauty products drove the sales in 2017. As the sales are increasing more significantly the key players are investigating present and anticipate the consumer behavior trends in health and beauty category for determining the best opportunities which is very much profitable for both the consumer and seller. Whereas, the report offers qualitative and quantitative insights of changing retail dynamics in the health and beauty segment with the retail sales and the fastest-growing product categories in the health and beauty sector. 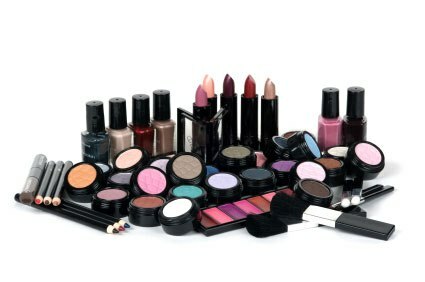 New innovations in the goods which made a good fruitful and effective is driving the retail market and development in the demand of that product as costly health and beauty products always define a status of a consumer and the population of the present era is believing in maintain healthy status in the society. Therefore, in the coming years, it is expected that this retail market of Singapore will more significantly over the decades.